Service usage and cost: AWS pricing is typically based on your usage of each individual service, but this project simplifies billing even further. You will see a single set of monthly charges that includes the AWS Storage Gateway service and the storage in S3 and/or Glacier that your virtual tapes consume. Description: AWS Storage Gateway is a service connecting an on-premises software appliance with cloud-based storage to provide seamless and secure integration between an organization’s on-premises IT environment and AWS’s storage infrastructure. The Tape Gateway configuration provides you with a cost-effective, scalable, and durable virtual tape infrastructure that allows you to eliminate the challenges associated with owning and operating an on-premises physical tape infrastructure. How Pricing Works: Replacing tape infrastructure includes a number of services and pricing is based in a number of factors: a monthly fee for each of your gateways, storage on the gateways, the virtual tape data you archive in AWS, retrieval fees, and data transfer charges. You are only billed for the portion of virtual tape capacity that you use, not for the size of the virtual tape you create. Data stored on your virtual tapes is compressed on the gateway, which can reduce both transfer and data charges, and you have both online and offline storage options in Amazon S3 and Amazon Glacier. The first 100GB of storage is free. For more details, see AWS Storage Gateway Pricing. Example: Consider a single Tape Gateway configured with 10 full 100 GB tapes storing online backups using the US East (N. Virginia) region. We'll plan for 5 more 100 GB tapes archived in the cloud, and plan to retrieve one of these tapes to restore a backup. The first 100GB is free. In this example, that's one tape stored locally. Online (local) tape storage capacity costs $.023/GB/month, so 900 GB would cost $20.70/month (assuming zero compression). Offline (cloud archive) tape storage capacity costs $.004/GB/month, so 500 GB would cost $2/month. Archived tape retrieval costs $.01/GB, so a full 100 GB tape would cost $3 to retrieve. The data transfer costs are $.09/GB, so 100 GB would cost $9 to transfer back to your premises. This scenario protects 1TB of capacity and includes an additional 500 GB archive for a total or $22.70 per month. Retrieving a single, complete 100 GB virtual tape from your archive and reading the contents would cost $12 each time. Remember that this scenario assumes zero compression; your compression ratios will reduce these results. Description: NOTE: In this project, the Storage Gateway service automatically manages Amazon S3 for you when you use a virtual tape. This section provide additional background. How Pricing Works: Amazon S3 pricing is based on five components: the type of Amazon S3 storage you use, where you store your objects (e.g. US East vs. Asia Pacific - Sydney), the amount of data you store, the number of requests made to store or retrieve objects, and data transfer fees. For more details, see Amazon S3 Pricing. Example: Let's say you are using Amazon S3 Standard Storage in the US East (N. Virginia) region. To store 1 TB of content, you’d pay $0.03 per month. Data transfers in are free. Transfers within region are free and to other regions are $0.020/GB. Transfers out to the Internet start at $0.090 after the first 1 TB and scale up after 10 TB. Description: NOTE: In this project, the Storage Gateway service automatically manages Amazon Glacier for you when you use a virtual tape shelf. This section provide additional background. 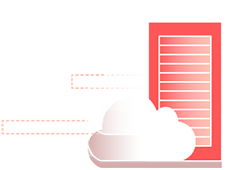 Amazon Glacier is a secure, durable, and extremely low-cost cloud storage service for data archiving and long-term backup. Amazon Glacier is optimized for infrequently accessed data where a retrieval time of several hours is suitable. How Pricing Works: Amazon Glacier pricing is based on the amount of data stored, the location the data is stored in, the number of requests made, and data transfer fees. For more details, see Amazon Glacier Pricing. Example: Using Glacier in the US East (N. Virginia) region, storing 1 TB at $0.004/GB/month would be $4.00/month. Upload and retrieval requests cost $0.05/1000. Transfers in are free. Transfers within the same region are free and to other regions are $0.020/GB. Transfers out to the Internet start at $0.090 after the first 1 TB and scale up after 10 TB.